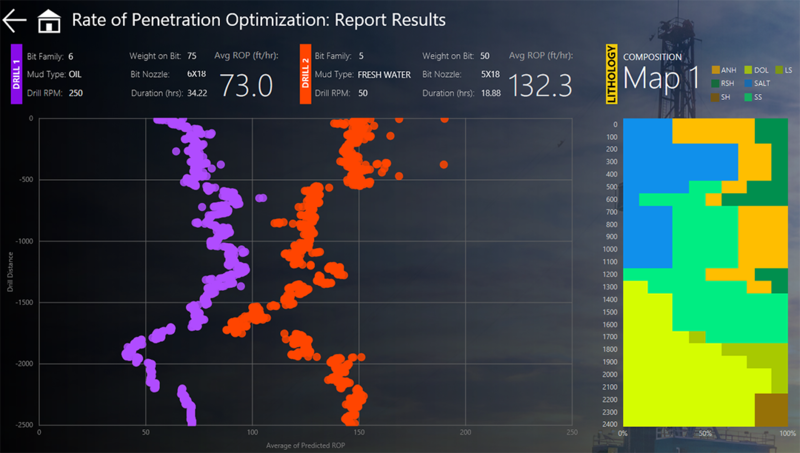 This solution helps reduce the time it takes to drill a well. 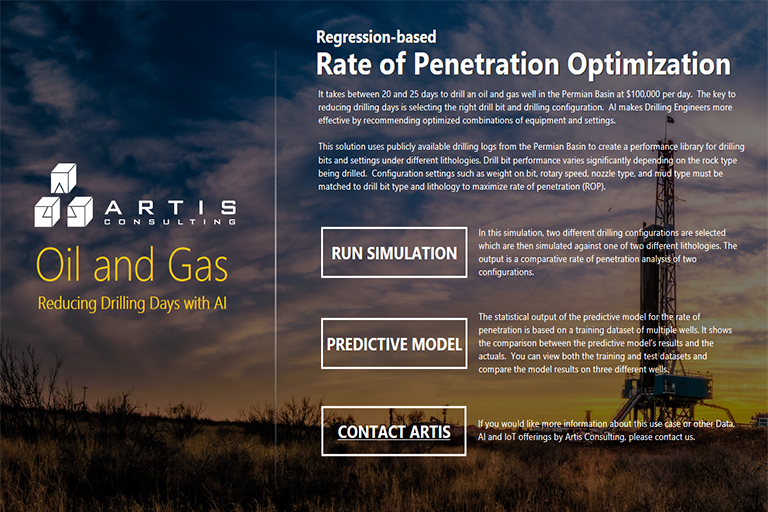 It uses publicly available data from the Permian Basin to create a performance library for drill bits and settings under different lithologies. 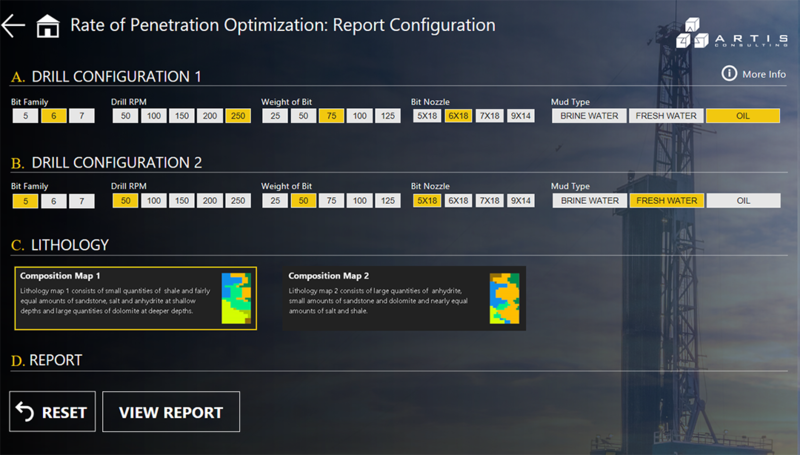 Using a machine learning model, this solution helps drilling engineers be more effective by recommending optimized combinations of equipment and settings to maximize rate of penetration (ROP). It takes between 20 and 25 days to drill an oil and gas well in the Permian Basin at $100,000 per day. The key to reducing drilling days is selecting the right drill bit and drilling configuration. 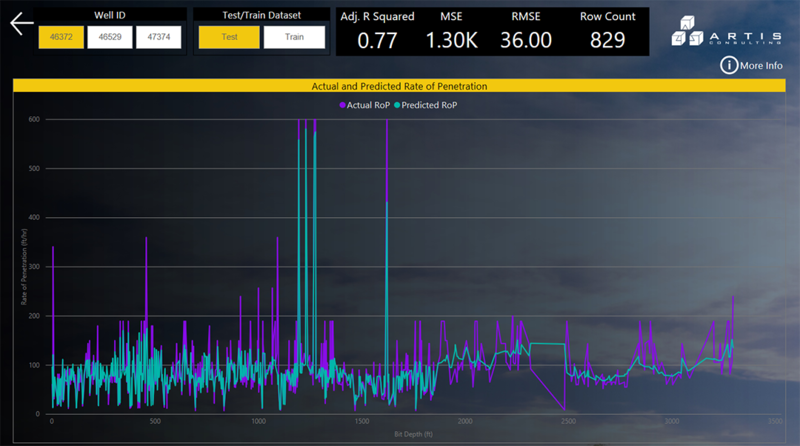 AI makes Drilling Engineers more effective by recommending optimized combinations of equipment and settings. This solution uses publicly available drilling logs from the Permian Basin to create a performance library for drilling bits and settings under different lithologies. Drill bit performance varies significantly depending on the rock type being drilled. Configuration settings such as weight on bit, rotary speed, nozzle type, and mud type must be matched to drill bit type and lithology to maximize rate of penetration (ROP).